How important is the first return point of the game? 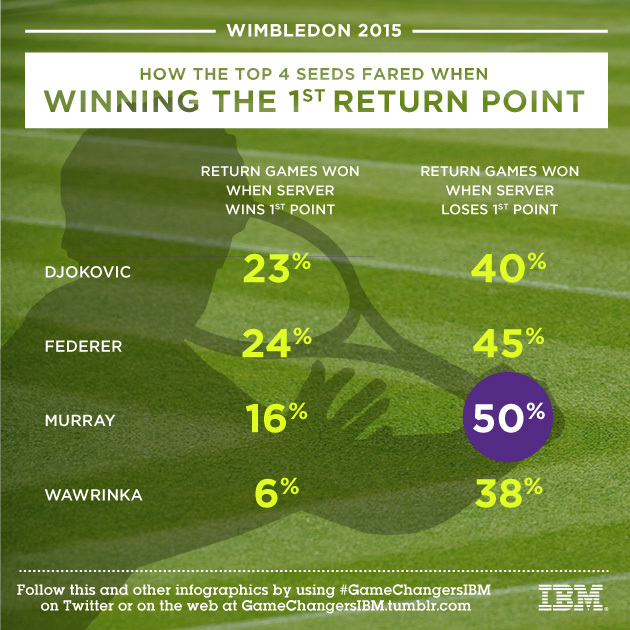 Here's how the top four men's seeds have fared at Wimbledon 2015. 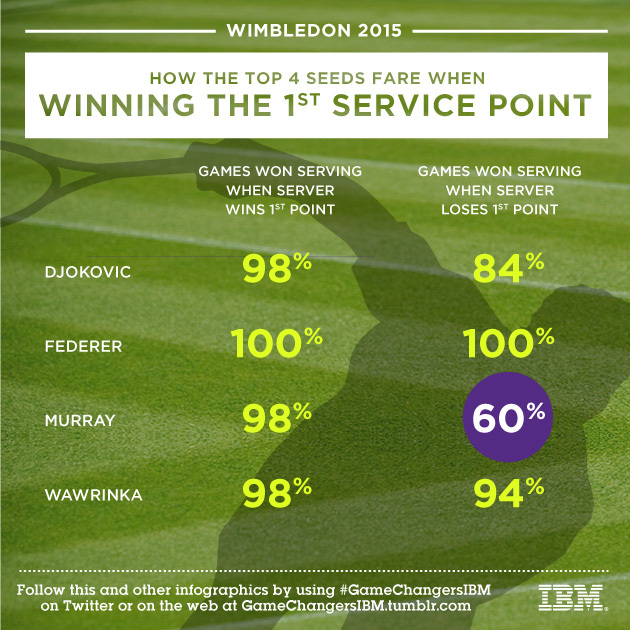 How important is the first point of the game for the top four men’s seeds at Wimbledon? For Roger Federer and Stan Wawrinka, the data shows that it doesn’t particularly matter if they win or lose the first point of the game when they are serving. For Novak Djokovic there is a slight drop, but for Andy Murray, it makes a big difference for him to win the first point of his serving games. How important is it for the top four seeds’ opponents—Gilles Simon, Richard Gasquet, Marin Cilic and Vasek Pospisil—to win the first point? Against the top four seeds, a player will hold serve at least 76% of the time if the first point of the service game is won. But if the first point is lost, the chance of losing serve increases. And once again, the biggest difference is against Murray—he improves from 16% to 50% return games won when the server loses the first point of the game.